This is stripped back elegance at its best. 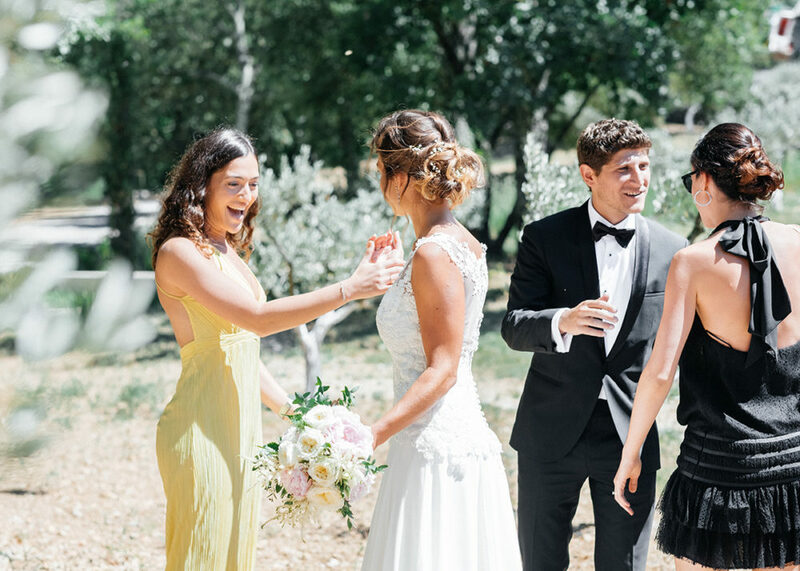 A real focus on family, friends and fun with the added bonus of great fashion, beautiful florals and timeless styling by Emilie of La Chuchoteuse. 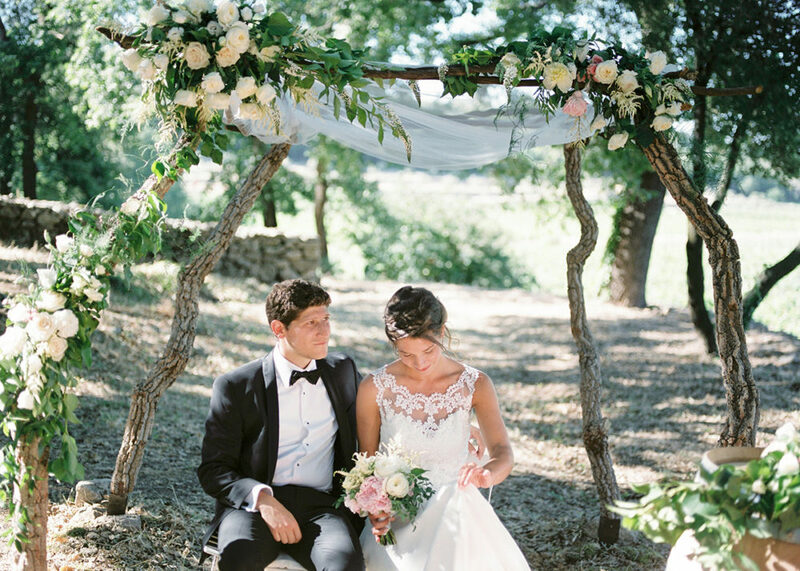 The vineyards of Commanderie de Peyrassol in Provence are absolutely breathtaking as is Bride Gaëlle’s lace gown and groom Itamar’s dapper tuxedo. 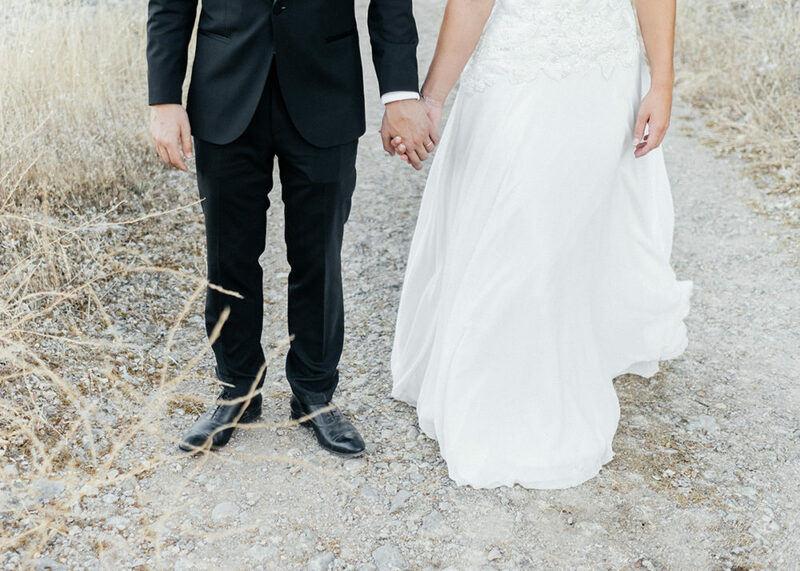 And EVERY moment captured by Raisa Zwart Photography will have you wishing you were right there celebrating with this glorious couple. 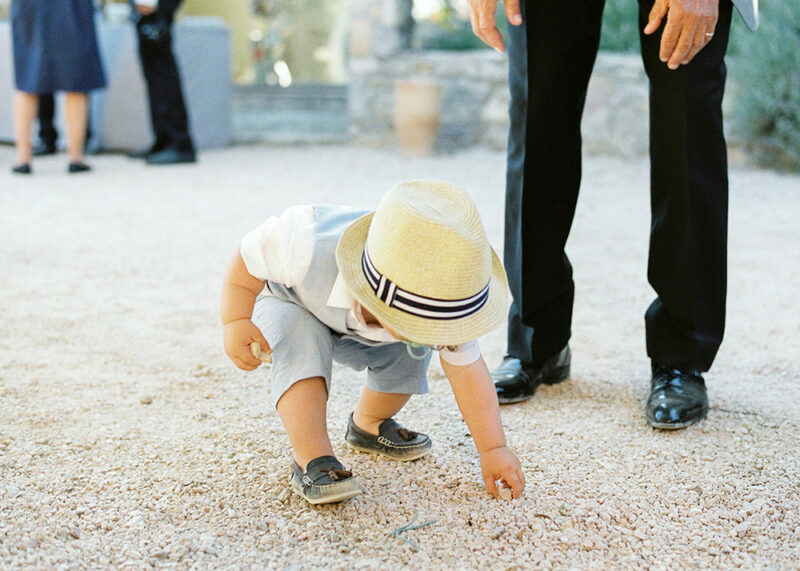 The header image taken by Saya at Studio Ohlala literally sums up this whole destination wedding in the sun perfectly. 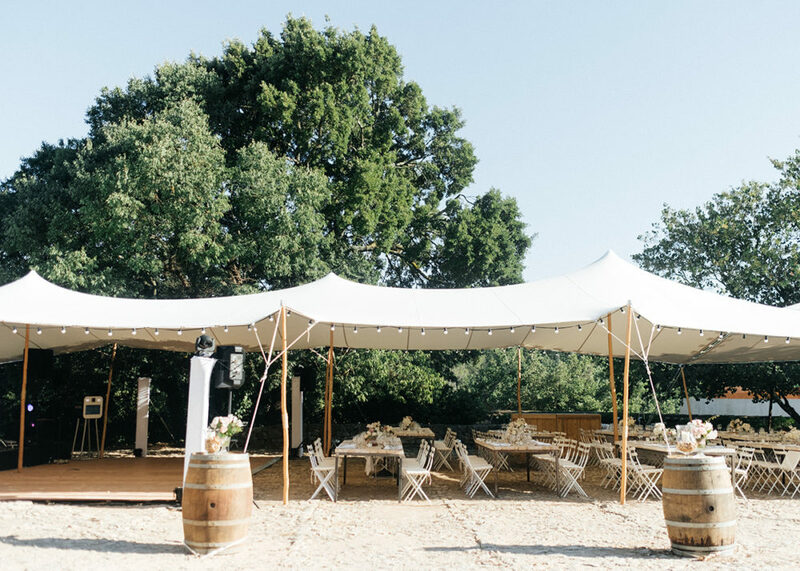 The couple are happy, relaxed, carefree, bright and bubbly, and had an absolutely beautiful wedding. 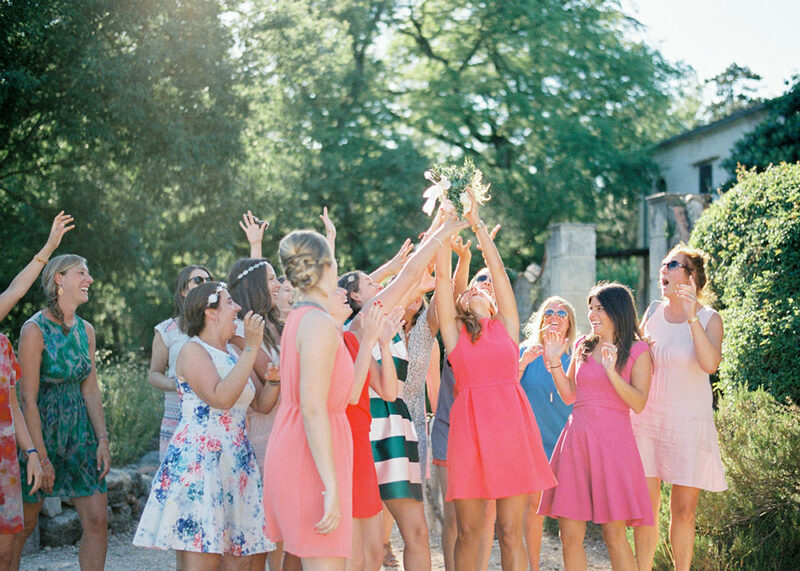 Firstly celebrating on the beach near St Tropez France with family and friends, followed by a big party in an industrial venue, filled with even more spectacular colourful decor, and festoon lights. You know how we love festoon lights. (insert multiple heart eye emoji’s here). 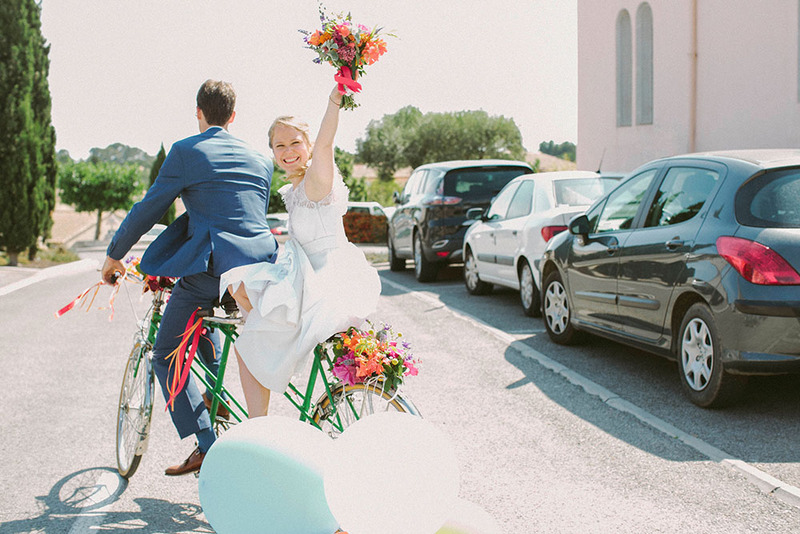 You’ll probably also fall in love with the bride’s adorable short gown’s by Elodie Michaud. Both creating unique looks perfect for each location. And not to be forgotten, the grooms dapper navy suits with immense bow ties. When you think of Look Book member Charlotte Simpson’s wedding gowns. 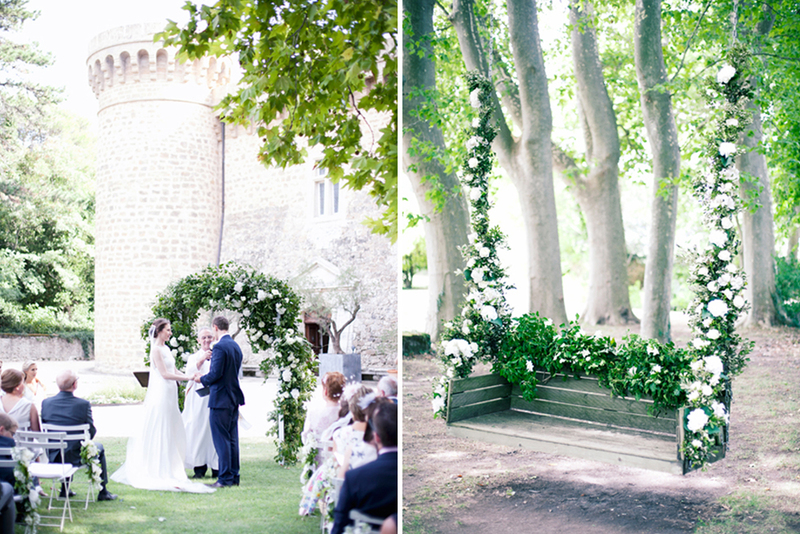 You think of elegance, clean lines and flattering silhouettes, so it’s no surprise her gorgeous destination wedding at the Chateau de Masillan in Provence was executed in the same way. Designing the most gorgeous gowns for her self, her bridesmaids, and mum in sumptuous fabrics, and intricate beading. Each and every one of them look jaw-droppingly beautiful. And each and every gown unique and truly stunning. The crisp white colour scheme was carried through to the decor and blooms too. There is a heavenly floral arch, dreamy outdoor swing adorned with blooms, and I absolutely love the floral table runners at the outdoor reception. Not to mention the loose bouquets lovingly put together by Charlotte’s friend Emily Wisher Artisan Florist. There isn’t one thing I’m not totally in love with and I think you’ll all feel the same too, so sit back relax and savour every last detail. 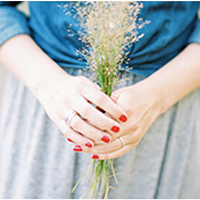 Oh, and maybe get your pinning fingers ready.